Who Really is Brock Holt? Lately, I have seen rumblings on social media about the type of player that Brock Holt is and reasons why he has not been playing, and it’s got me thinking and asking myself: Have I been blind to what Brock Holt actually is for so long? I see Brock Holt as a decent 4th outfielder with a good arm. As an infielder, he doesn’t do anything flashy, but makes the plays he is supposed to make. He draws walks, comes up with clutch hits, and can hit for an average, with a little bit of power. He has deceptive speed. All in all, I would view Holt as a solid player. I agree that Brock Holt does have his struggles, and the Red Sox should not be expecting him to play every day. However, when he is used as a back up, he provides a nice value. 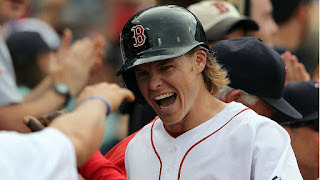 I had been in the camp that the play of Brock Holt had declined over the last couple of years. Then, when it came out that Brock was suffering from vertigo, had the flu this year, and has had a concussion as recently as last year, it makes absolute sense that his play has declined. When he comes back healthy, I hope he is the 2014 version of himself and really helps this team when guys need a break. I am interested to hear from our readers on this topic. Who do you think Brock Holt is? Has he reached his ceiling? Will he ever get back to the player he was in 2014?